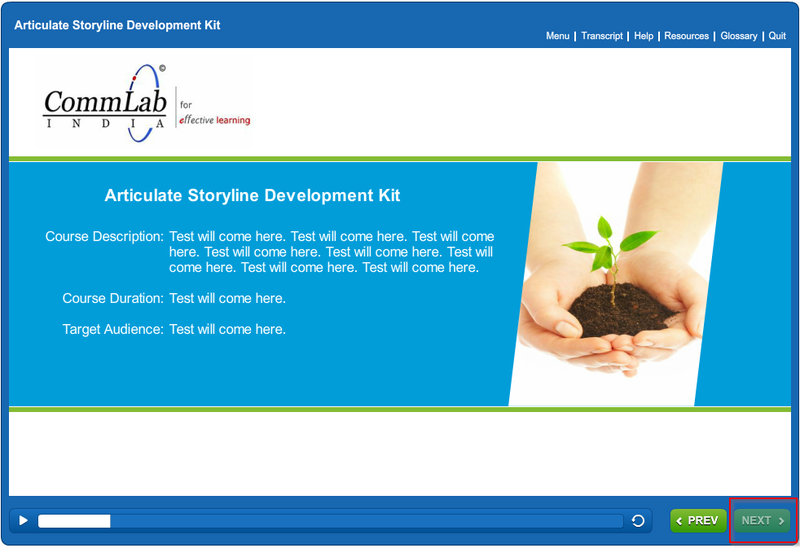 Articulate Storyline 2 has a new feature – Disable the Next button until slide completion to restrict learners from proceeding to the next slide without completing the required activities on the present slide. This option satisfies the requirement of some online courses where learners are prevented from skipping the slides without reading them completely. But when the Next button is in the disabled state, learners may not recognize that and click the button repeatedly to go to next slide. Check the screenshot given below. To avoid this situation, we can change the state of the disabled Next button so that learners recognize it. But how do we change the state of the Next button? Well, these steps will let you do it. 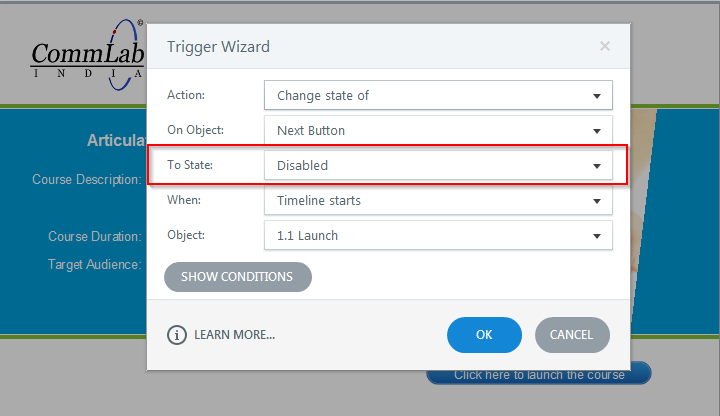 Create a new trigger to assign a variable for the Disabled state of the Next button. Create a new trigger to assign a variable for the Normal state of the Next button. 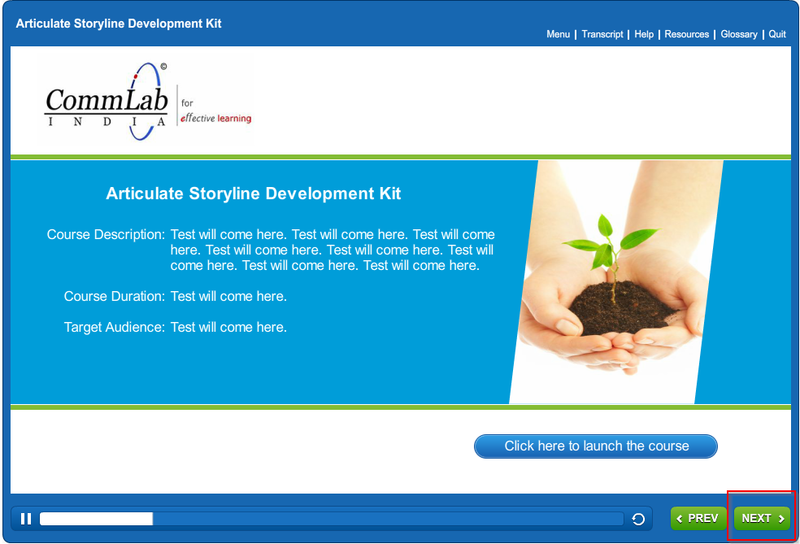 But now when the learner goes to the next slide and revisits the previous slide, he needs to complete the activity once again on the current slide to go to the next slide. To avoid this, we can enable the Next button so that the learner can skip the revisited slide immediately. Take a new variable, example Normal, to assign action for the Normal state when a slide is revisited. Assign it the value True. Now you have to assign the variable to the Next button to reset it. This can be done in 5 steps. 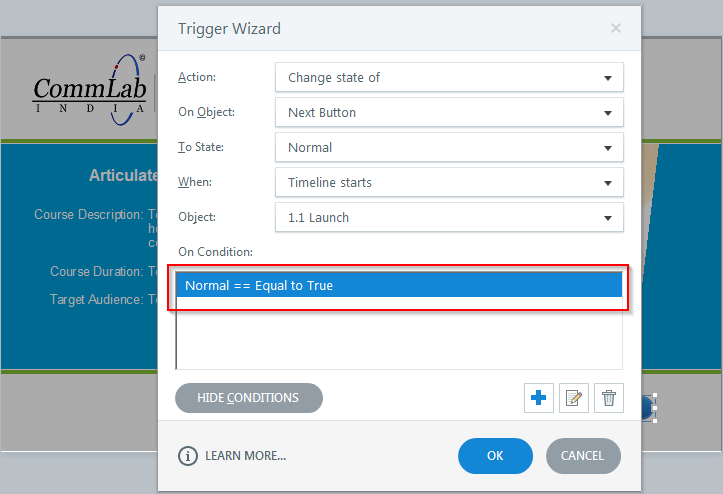 In the On Condition (panel) ensure the variable value is True. 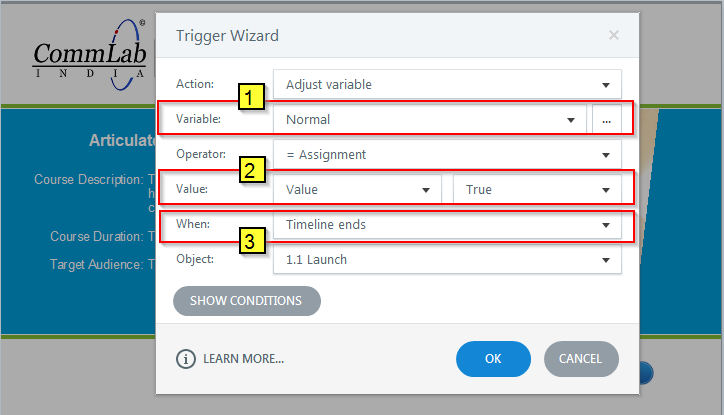 Thus you can enable the Next button so that the learner can skip the revisited slide immediately. Have anything to say? Please do share…!